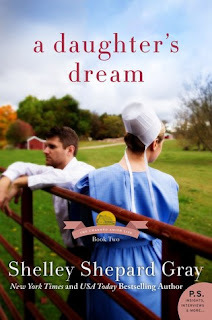 I enjoyed this second book in the Charmed Amish Life series. It can be read as a stand alone as an explanation of what happens in the first book is included in the narrative, but I recommend reading A Son's Vow first if you have it so the story isn't spoiled (I rated it 5 stars- it was excellent!). 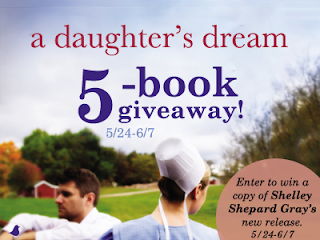 A Daughter's Dream is definitely more laid back than its predecessor. Rebecca's journey along the path of life is one she took willingly, and as she explores other options for her future, she keeps a positive attitude when things don't go as she imagined. Her blossoming friendship and romance with Jacob is so sweet and void of tension, it developed quite naturally with special moments that were a pleasure to read. Lilly is the character that I felt was portrayed with the most angst, yet even her path seemed to smooth out quickly with the support of her family and friendship with Peter. Some of the story is also told from the perspective of Rachel, the schoolteacher, but I didn't feel that it added much to the plot. The themes of healing and seeking God's will for one's life were heartfelt and I loved being back in the Amish community of Charm. Something that stands out to me about this series is the noticeable lack of interaction with church leadership. I don't think it's a bad thing, just very different from other Amish fiction I've read. The characters seem more independent and willing to handle their own problems, and there isn't the feeling of pressure to conform to standards a particular bishop sets. 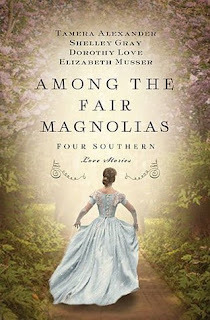 I recommend this series to fans of family sagas and Amish fiction. Fabulous e-book sales and a freebie! Rebellious Heart by Jody Hedlund- 5 stars! One of my favorite historical authors! Take a Chance on Me by Susan May Warren- 5 stars! This is the first book in the Christiansen Family series, one of my favorite contemporary series! I recently read A Twist of Faith by Pepper Basham and enjoyed it, 4 stars! Lydia’s job at the library is her world—until a mysterious patron catches her eye... and perhaps her heart. Loved it! This book is so well-written with it's subtle peeling back of the layers of the plot. There is a sense of mystery from the beginning that kept me fully engaged. The setting is wonderful- I absolutely love libraries! The depiction of Chicago at the turn of the century is also subtle, the author avoids making it a cliche or caricature of the city. Lydia feels that she is plain and on the fringes of society, but accepts who she is as a person and embraces her interests. One of the things that is so appealing about Sebastian as a hero is that he saw beauty in her where others did not. I was enthralled with the contrasts of Lydia and Sebastian's worlds and how they overlap. Themes of self-worth and self-sacrifice are ones found in several characters as they learn to reevaluate their standing in society and see themselves through God's eyes. Highly recommend! 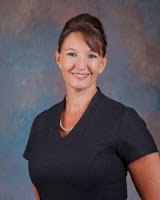 Shelley Gray is the author of The Heart of a Hero series. 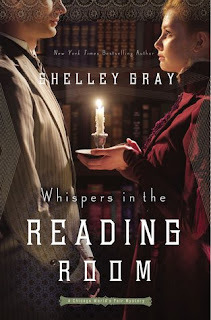 Her Amish novel (written as Shelley Shepard Gray), "The Protector," recently made the New York Times best seller list. A native of Texas, she earned her bachelor’s and master’s degrees in Colorado and taught school for ten years. She and her husband have two children and live in Southern Ohio.